Let us take care of all the transportation details for your big day – we make it easy for you to enjoy every moment of your wedding and reception. We’ll expertly handle the unique transportation needs of you, your wedding party, and your guests. Our fleet of luxury vehicles, vintage Packard limo , impeccable service, and customized transportation plan ensure a flawless and unforgettable wedding day. 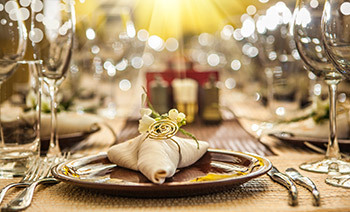 Work closely with your event planner to make sure every detail is covered. Transport your wedding party and guests to the rehearsal dinner, ceremony, and reception. Provide transportation to photo shoot locations. We understand that a wedding is an event like no other – it’s an experience that creates a lifetime of memories. You’ve been planning this special day for a long time, so it makes sense to choose a transportation company with the same level of care. You can depend on our experienced and professional drivers to deliver unparalleled transportation services that guarantee your day begins and ends perfectly. We’re pleased to share our insider knowledge of the Napa Valley wedding venues and other local business partners who, together with our transportation services, work together to create an extremely memorable experience. We want to help you make all your wedding dreams come true!